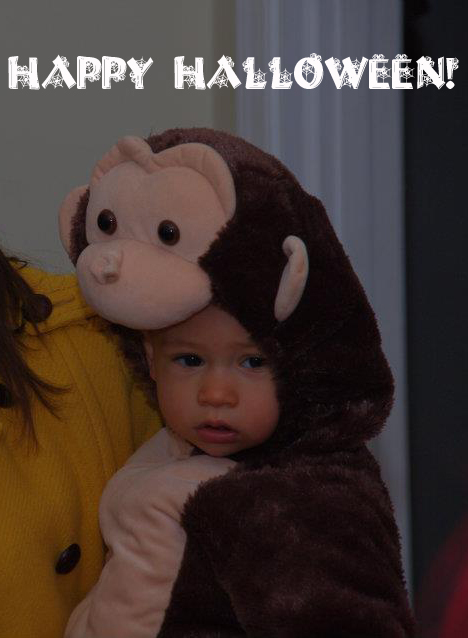 Just a little preview of our little monkey in her costume. The funniest part is the dog, but I guess I will have to get a good picture tonight! We are taking the baby to my mom's house so we can trick or treat in her cul de sac. I am sure that is all she will be able to tolerate!